IT was the "final straw" for players - and just may have kick-started the Eels' season. 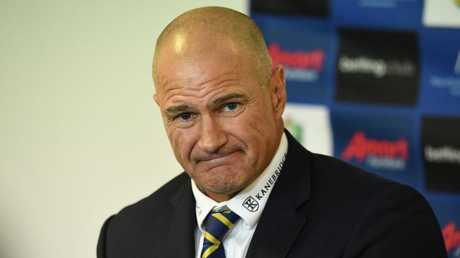 Speculation about coach Brad Arthur's relationship with his team sent frustrations to boiling point for the ­misfiring blue and golds. Co-captain Tim Mannah revealed it felt like things were "getting out of control" when it was claimed Arthur had lost the dressing room. "We were just over it and we just wanted to go out there and let our footy do the talking and put to bed all the rumours that were there," he said. Parramatta, one of the pre-season favourites, slumped to its worst start in 27 years, losing its opening six games. But that wasn't the worst of it for Mannah's men. 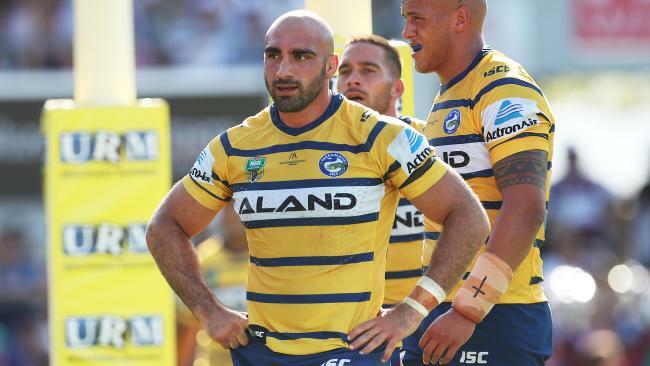 "I think the final straw was hearing about Brad losing the dressing room," Mannah said. "Anyone that's a part of this club knows how far from the truth that is. "We said, 'Let's just go out there and make a lot of these people be quiet'. I think it was a case of enough is enough, we just had to get the result." Mannah, 30, said the ­unrelenting criticism galvanised the playing group and when they lined up against the Sea Eagles last Sunday, they had a point to prove. The players duly delivered, belting Manly, 44-10. "We had had enough of the losing feeling, we had enough of the negativity around the club and around the place," said Mannah, whose side takes on Wests Tigers this ­Sunday. "To be honest, something of the stuff that was coming out was unbelievable. Small rumours turn into bigger ones and everyone started believing some of these lies that were coming out. "A lot of the rumours were pretty disappointing, so we just wanted to send a strong statement and get the result." 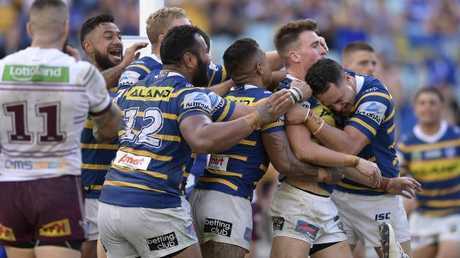 The Eels bounced back in style against the Sea Eagles. Star playmaker Mitchell Moses, who copped criticism over his relationship with halves partner Corey Norman, threw his support behind his coach. 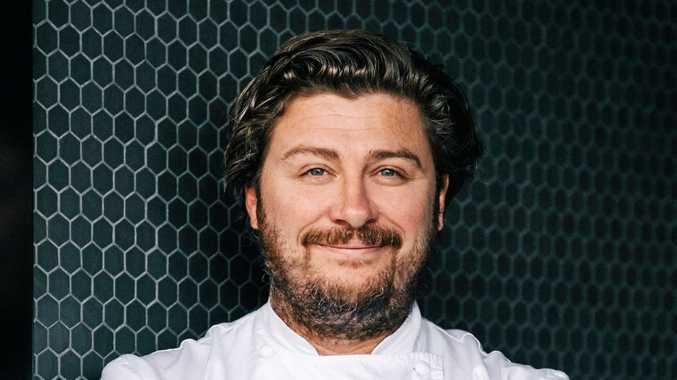 "I'm 100 per cent certain that every single player here loves Brad," he said.